Expand your menagerie of magical creatures with beasts straight out of the Wizarding World. 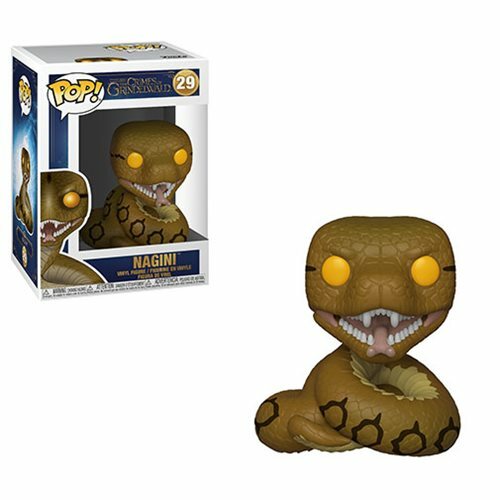 From Fantastic Beasts 2: The Crimes of Grindelwald, this Fantastic Beasts 2 Nagini Pop! Vinyl Figure #29 measures approximately 3 3/4-inches tall. Comes packaged in a window display box. Ages 3 and up.